Buloke Shire Council is one of seven Councils across northern Victoria and southern New South Wales to receive funding from the Federal Government’s Regional Growth Fund for foreshore redevelopments and upgrades. Council is leading three projects that will be realised under the fund, with $16.8 million in funding across the seven Councils being announced in Swan Hill this week. 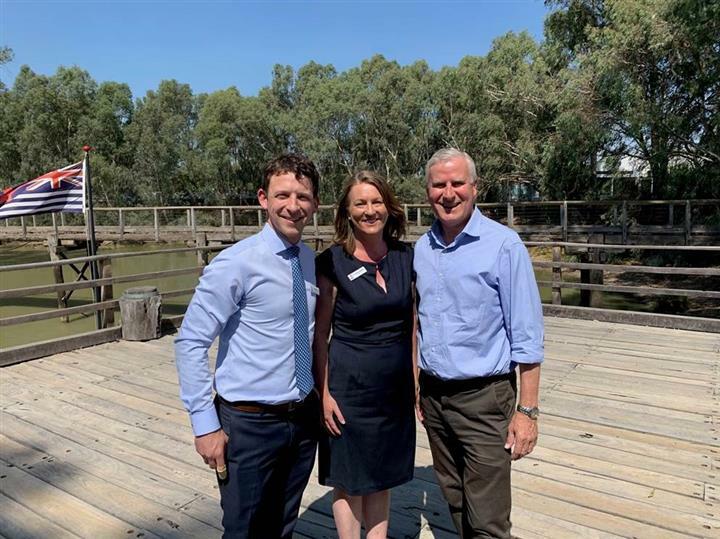 Buloke will receive $2.9 million to undertake the Lake Tyrrell Infrastructure Development Project as well as riverfront developments in both Charlton and Donald. The three projects are worth a combined $5.84 million. The Lake Tyrrell Infrastructure Development Project ($4 million) seeks to develop a tourist hub at the lake, with a viewing platform, boardwalk, tourist amenities and extensive development of a carpark. The works will also include a significant upgrade to the Baileys Road – Calder Highway intersection, to ensure safe access for all vehicles to this natural wonder. Work on the project is expected to commence in the second half of this year and completion is planned for June 2020. The Charlton Riverfront Development ($940,000) seeks to take advantage of the Avoca River running through the township with the development of a viewing platform, and shared roadway along the river to link the CBD with the river and adjacent parks. The Donald Riverfront Development ($900,000) forms the development of a riverfront precinct along the Richardson River, again better linking with the CBD. This includes a shared roadway, skate park and youth precinct, and a viewing platform along the river. Work on both Riverfront Projects is expected to commence in in the first half of 2020. “To see the Our Region Our Rivers campaign bring a result like this to our Shire and many of our neighbouring shires is an outstanding result. The investment into our towns will continue to drive the tourism upswing we are currently experiencing in our towns by way of destination tourism in Sea Lake and giving people stopping in Charlton and Donald a real opportunity to experience what the Avoca and Richardson rivers have to offer’, said Mayor Cr Carolyn Stewart.